God created the world; so what? Let’s take those one by one. A sovereign as you learned in school is the lord of a country, thus sovereignty is the supreme power or authority in a place. Until 1914 in WWI, a sovereign was a British coin of equal value to a pound. We don’t use the word sovereignty much anymore, and we don’t consider it much either. After all who wants to hear about rules? Who wants to be told what to do by some supreme power? In fact, we get annoyed when the bus doesn’t run on time, and we are told to wait in a new queue. We don’t like it when others jump the queue after we’ve been waiting for 10 minutes. Actually, at that time we want a sovereign or some official to tell that jumper to get back. But realistically we don’t want to be told at Centrelink that our issue is unresolved. We don’t want to be told that we have to pay an extra 15 cents for a bag at Coles. We are an entitled people by our own definition, and when They don’t give Us what we deserve, and in fact, demand more from us, we are disturbed. Bothered. However, when I think about God creating the world, then He must have had a purpose in doing so. What was that purpose? Why did He create me? What’s my purpose in life? This question frames all the other questions we can raise today. God created me; so what? Then I need to find my purpose in relation to being with Him. I hired a new man this week at my office in Bondi Junction. He is also named James. We spent some time processing his application and getting things ship shape for his joining us. Monday he began and right away he received training in some of the activities we conduct. And he had to read the Staff Policy Manual. And he had to join us for prayers and Bible reading. You see, we are more than functionaries; we are part of a bigger picture. Knowing how to pump petrol is good, but that doesn’t make you a mechanic. Knowing how to stir vegetables is good, but it doesn’t make you a chef. Calculating integrals and differential equations is good, but it doesn’t qualify you to run our Space program. Functionaries look at what is and do their part. But those who know purpose, the big purpose, the Grand Scale purpose for their lives, they know the background, the history, the trajectory, the future of their activities. The Psalmist said, “God made known his ways to Moses, His acts to the children of Israel.” (Psalm 103.7) The people only were functionaries; Moses saw the bigger picture. It’s about purpose. It’s about finding meaning and relevance in our little worlds. If all we do is awake each day to go through routines, if all we do is ride the train to get to work to go through routines, if all we do is travel to and from places hoping against hope to find relevance—all we will see are functions. Life is much more than that. Life is about purpose and finding God as Creator, knowing His purposes for the world, and for us, and …. buckle your seat belt, His purpose for me. that’s where life begins. He is sovereign. Second, we ponder this thesis. I call this ‘legislation.’ Creators of games and creators of sports and creators of recipes can tell us what is wrong with our copies of their sport. When Wolfgang Mozart came onto the scene in the 18thCentury in Austria, he created music no one before had ever heard or even imagined. Maybe you remember the play by Welsh playwright Peter Shaffer. Later it became a movie, “Amadeus.” Patty and I saw it on Broadway in the 1980s and it was amazing. No surprise, it starred Ian McKellen and Jane Seymour then. 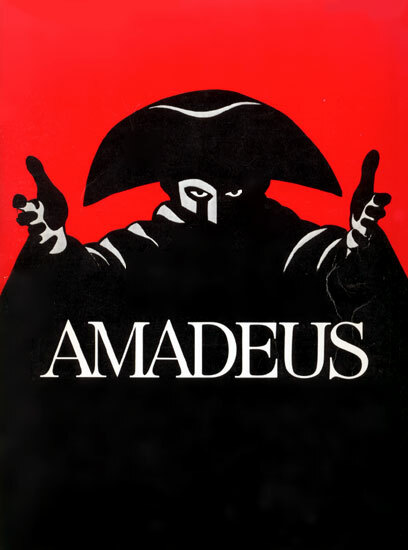 The story focused on the gifts of young Mozart (remember he died in his 30s) and the establishment characterized by the court musician and composer Antonio Salieri. Salieri’s jealousy of the young upstart was legend. But the composer or in our term today, the creator of the music could define what was right or wrong. And Mozart left the music as it was. As he should have. No one is played more often on classical radio stations. No one changed music history as much as Mozart. But remember this is only an example. 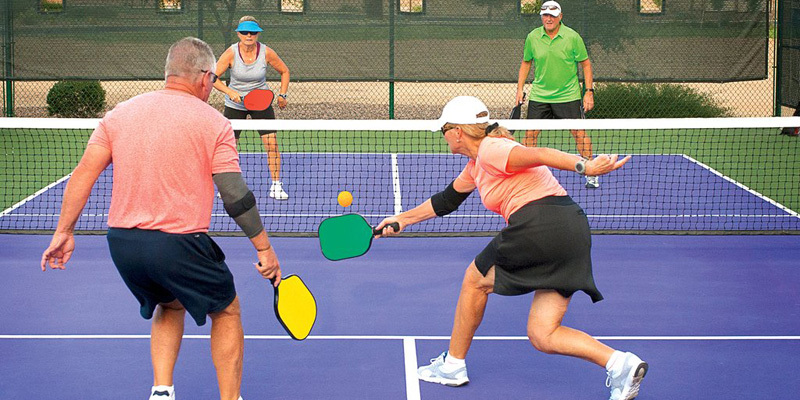 50 years ago, in the US a man in the state of Washington created a game and named it “pickleball.” It’s a combination of several other sports, like badminton and tennis. I’d never heard of it until October 2 years ago. I happened on it while visiting my sister in the US when I went into a recreation centre and found some people playing the sport. Within minutes I was playing it, and I was captivated. I played it on visiting the US a couple other times the last couple years, and then last year in November I actually started it in Sydney. Maybe I’m like the creator, or maybe I’m just his representative, in our story today. We started and by February, we were playing three times a week in three different venues. Now we are up to 5 places, and by the end of Sukkot we will have 6 places where we play weekly and in October we are having our first National Championships in Marrickville. Amazing, eh? But my point is not to boast about this sport, but to highlight a bit of my responsibilities. You see, there are rules, what is right and what is wrong in the game. You cannot step into certain areas unless something else happens. Serves must be underhand and your serve is wrong if you don’t strike the ball below your waist. You see, those rules are there for many reasons, all reflecting the purposes of those creators 50 years ago. If a newbie doesn’t perform or conduct himself in accordance with the rules, one of us acting like a referee or judge will notify them of their error. We legislate, in accordance with the Purposes of the Creator of the sport and seek to represent him well. God, who in the beginning created heaven and earth, the sea and all they contain, not only began something. He intended to make it His place with His friends behaving in a certain manner. He wanted us to fulfill His plans (that’s Purpose and sovereignty) and gave us the understanding of what was proper and right, and thus what was out of bounds and wrong as well. Without legislation, then the Creator would be leaving us to our own devices and that’s not very caring, is it? The manufacturer not only has to make the new Subaru, he has to give us a manual, so we keep it up to his standards. Without standards, we are destined to ruin what was his. No wonder God gave Torah to our people. How else would we know how to treat animals, or our planet, or each other? I appreciate your perspective, although I reject it. I like people who have positive orientation, certainly much more than those who always see the glass as half-empty. And I don’t want you to hear this as if I’m a crotchety, snarky, over 60-year-old man who thinks all things are horrible in life. No, I want you to know that we all fall short of God’s standards. We all fail in keeping Torah. We all have various levels of what we would title “goodness,” but no matter how low or high those levels are, everyone we know, our sister, our mother, our rabbi, even me… we all fall short of those standards. The Bible uses a term for that, and you may not like this, but it is labeled ‘sin.’ if God created the world, and if He established legislation to match His sovereignty, then He has the power to carry out Justice in proportion to our failures. That ‘falling short’ is sin, and the result of sin is justice. He can disturb or ruin you, if He wants to do so. Why? In the same way I can penalize a player who breaks a rule on the pickleball court, and those foot faults that come and go at the US Open as you might have seen last week with Nick Kyrios and his spontaneous lesson from the referee or Serena and her outbursts. When we fail, we should have consequences. When you fail, there should be consequences. Don’t you want punishment for those bad people who do bad things against our Jewish people? Don’t you want consequences for those misbehaving hoons who drive madly in the neighbourhood where you live? God, the Creator, gave us regulations to keep us on His planet in such a way that He would be honored, and we would enjoy a good life. But unfortunately, we failed to keep our end of the bargain. We fall short. These 10 days which begin now on Rosh Hashanah are titled the “10 Days of Repentance.” Another term used is “Yamim nora’im” meaning “days of fear.” The 10 days of awe. If God is the Creator, and if we are honest about failures, not only Malcolm Turnbull’s failures, or Donald Trump’s failures—seriously, if we are honest about our sins, we would know that God is right and just to punish us for our sins. No wonder we cry out in Avinu Malkenu “we have no good works in ourselves” (Ki ein banu ma’asim). We are not people who demand justice. If you know what you deserve, you know that mercy and not justice should be your cry. If you know how poorly you hit a golf ball, you would never bellyache because your beautiful drive along the edge of the fairway hits ‘the only limb sticking out’ and forces your ball into the rough. I have a friend on the tennis court who, whenever his opponent’s ball hits the net and drops onto his side, cries, “No justice.” I often remind him that justice, getting what you deserve, is nothing a real Christian should ever demand. If you know the righteous standards of the Almighty, you would not demand justice. It will come back to bite you. The fourth thesis today is perhaps the most important. We have explained sovereignty, legislation and justice. Now we turn to salvation. What a declaration of hope! Even though we have broken God’s laws, walked away from Torah and dismissed His information, no matter how far we have gone away from the Lord, He still longs to be with us. He desires to fix the relationship and has created a method of that repair. What is that method? That’s the Great Exchange. Life for life. Blood for blood. That’s why Yeshua had to die, to take our punishment so that we could have eternal life. Some of you have been attending these and other meetings over many years; others are new today. Thanks to each of you for coming and being part of our anniversary celebration. Today 5,779 years ago, God created humanity, Adam and Eve, and gave them, and to us, His purposes, and His legislation. Stay away from the wrong tree in the Garden of Eden and you will live. 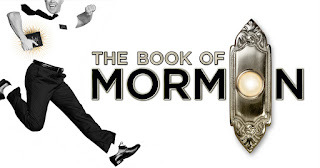 You have broken God’s laws. You are worthy of punishment. But God being rich in mercy, loved you and sent Yeshua to take your place. Hallelujah! This gets us back to the Garden.